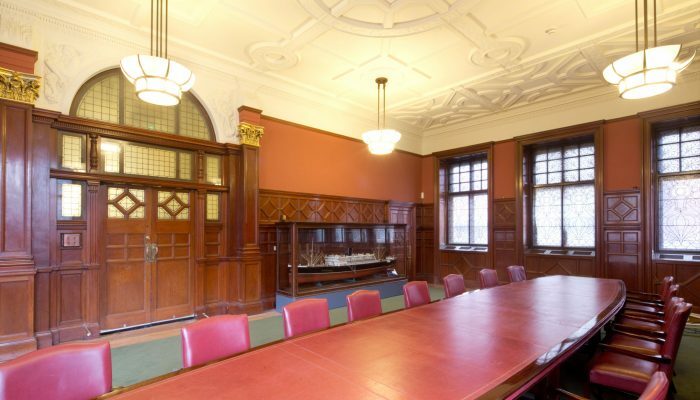 Over the last century, important meetings have been held in this fabulous boardroom. It seats up to 18 around the table and up to 60 at presentations. It comes complete with a PA system, large digital screen and wi-fi. The adjacent ante-room can be used for catering and break-out space. Please contact Govan Workspace on 0141 445 5866 or 0141 445 2340 for availability and costs.